New York, NY, August, 16, 2017 – Atrium is excited to announce that they’ve been named to the 2017 Inc. 5000, Inc. Magazine’s annual ranking of the 5000 fastest-growing private companies in the United States. Receiving one of the most prestigious awards in business for the seventh consecutive year, Atrium is ranked #3938 overall, with an impressive 73% percent growth rate over the past three years. The firm’s continued growth is the result of the company’s successful Contingent Workforce Solutions division that offers Payrolling Services, Independent Contractor Compliance, Intern Program Design and Managed Service Provider engagements throughout the US. Medium-sized to Fortune 1000 companies also turn to Atrium to find the best talent to fill Administrative Support, Fashion & Retail, Finance & Accounting, Human Resources, Manufacturing & Logistics, Marketing & Creative, Post-Production, Real Estate and Scientific positions. See a complete list of 2017 Inc. 5000 winners now. Atrium is a full-service talent management firm, focused on providing enterprise contingent workforce solutions. Atrium’s expertise includes regional Temporary and Direct Hire Staffing, national Payrolling Services, Independent Contractor Compliance and Intern Program Design. Combining 22 years of experience with the most advanced HR technologies, Atrium delivers top talent, heightened compliance and reduced operational burden. 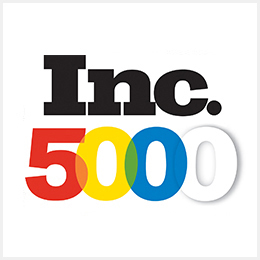 The Inc. 5000 is an annual list of the 5000 fastest-growing private companies in the United States ranked according to percentage revenue growth over a three-year period. To qualify, companies must have been founded and generating revenue by the first week of the starting calendar year, and therefore able to show three full calendar years of sales. Additionally, they had to be U.S.-based, privately held, and independent—not subsidiaries or divisions of other companies—as of December 31 of the last year measured. Revenue in the initial year must have been at least $100,000, and revenue in the most recent year must have been at least $2 million. The award was introduced by Inc. Magazine.